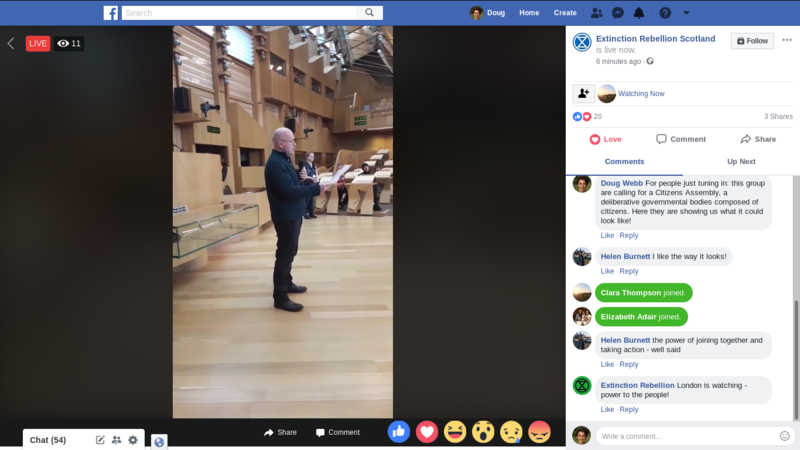 Right now a group of people are occupying the Scottish government buildings and holding their own Citizens Assembly. They are doing this because to avert biosphere collapse we need to be making collective decisions. Us. Citizens. Not stakeholders, hedge funders nor nepotistic elites.